Venice is uniquely poised at the sobering intersection of its own past, present and future; lying somewhere between Curation, Preservation and Mass Tourism. As a result, its architecture and urbanism, demand a parallel project of preservation and modernity – where ancient monuments and a rippling tourist body encounter an un-paralleled culture of curation and exhibition. This course will investigate the architecture and art of display in Venice by visiting famed museums, churches, fraternities and its Biennale to observe both contemporary and centuries old symbolic, iconographic and spatial strategies which sought to alter relationships between works of architecture (and art) and those who viewed them. We are interested in interpreting and then designing, for the curatorial cultures of the city's monuments and urban spaces by asking; what does it mean to think of a building as an artefact, a street as an enfilade and a city as an archive? And, how can the now legendary fictional projects of the 1985 Venice Architecture Biennale, plus the small scale 'follies' of Italian architects Carlo Scarpa, Massimo Scolari and Aldo Rossi act as 'blueprints' for Exhibiting Architecture in Venice at this troubled time in its history? • Observe and document curatorial practices as they apply to the display and exhibition of art and architecture through visits to the Biennale and other significant art and architecture sites in and around Venice. • Explore the histories and behind-the-scenes operations of major public buildings in Venice. • Learn to conduct archival research at the Venice Biennale's Archive. • Understand the roll of contemporary tourism within Venice and the European city at large. • Learn orthographic drawing techniques developed by key architects operating in Venice through the ages to communicate your design projects. ECA creates a space that celebrates and nurtures creative ambition. Here you and your peers from around the world will be immersed in a collaborative, creative and inspiring environment. No matter how much you are involved in the world of art and architecture, there is a space for you to be creative. Leading practitioners share their personal experiences for designing, curating and organizing art and architectural projects. You will learn about the practice and theory of staging and participating in the Biennale, while reviewing case studies from galleries, state institutions, museums and the complex urban condition of Venice. You get access to the network we've built during 12 years of organizing exhibitions in art and architecture. The programme is an excellent way to join the international creative community. 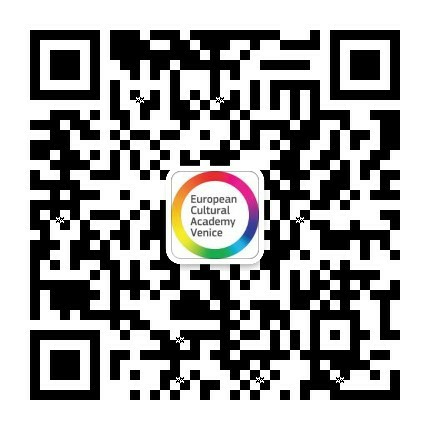 ECA and its alumni network will support your after the course as well. The course is designed for students, researchers, and young professionals in the fields of: architecture, landscape architecture, urban design, art history, set design and curatorial studies. On average there are around 11 nationalities per group. Students are required to bring their own equipment, including laptops and drawing materials. You will meet international experts from all over the world. Here are some of the lecturers. Scott Woods teaches architecture history, theory and design in the Faculty of Architecture, Building and Planning at the University of Melbourne at both graduate and undergraduate level. Cristina is Venice Cultural Heritage Expert. She has worked for UNESCO, and written a book on Venice Master Artisans, along with a number of articles for other books and magazines. Director of the European Cultural Centre. Previously, she worked for several national pavilions at the Venice Biennale and for Peggy Guggenheim museum. Read alumni stories and course reviews. ECA alumni network is a powerful, inspiring community. "Professionals shared the secrets of the trade in an personal setting and we were challenged to try ourselves in a group exercise. The program also includes a visit to the Biennale, to local workshops, which makes the week intense, but also fun and very rewarding." "The opportunity to learn on the "behind the scenes" of the Venice Biennale was invaluable. The Academy nurtured in me the will to pursue a professional experience within the Biennale one day. We studied in the environment full of warmth and joy, It could not have been better!" "Participating in the City Lab Venice 2018 enabled me to immerse myself into the theme of the Biennale "Freespace" and reflect on it during the course. I did not only acquire knowledge about Venice and its complexity, but also gained a new perspective on how free and generous spaces can contribute to the city."